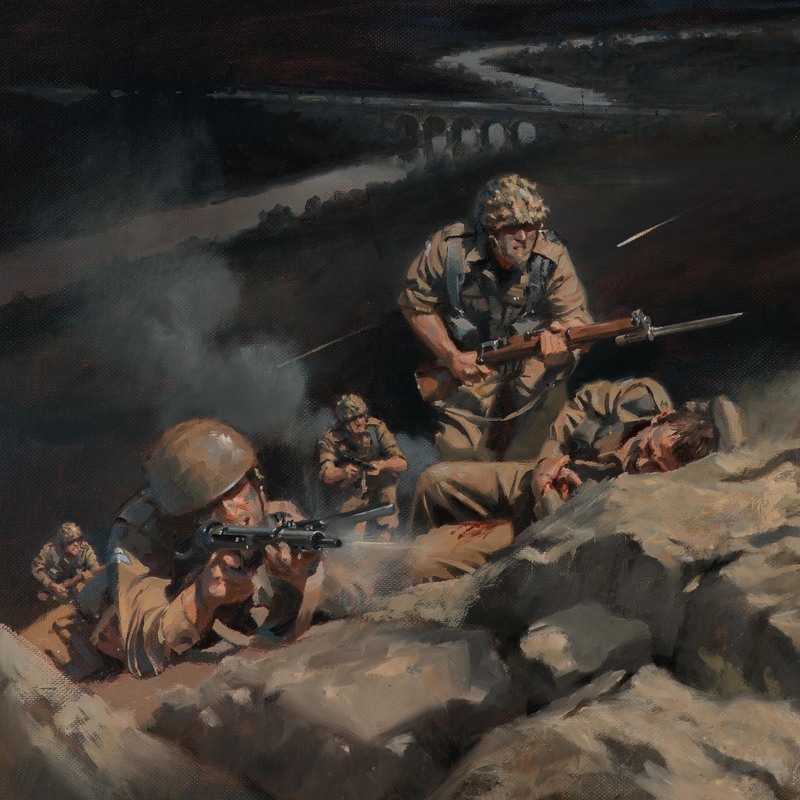 4th Battalion The Parachute Regiment, Laterza Bridge, Italy 1943. On the night of the 15/16th September 1943, The 4th Battalion The Parachute Regiment fought its first significant action of World War Two. 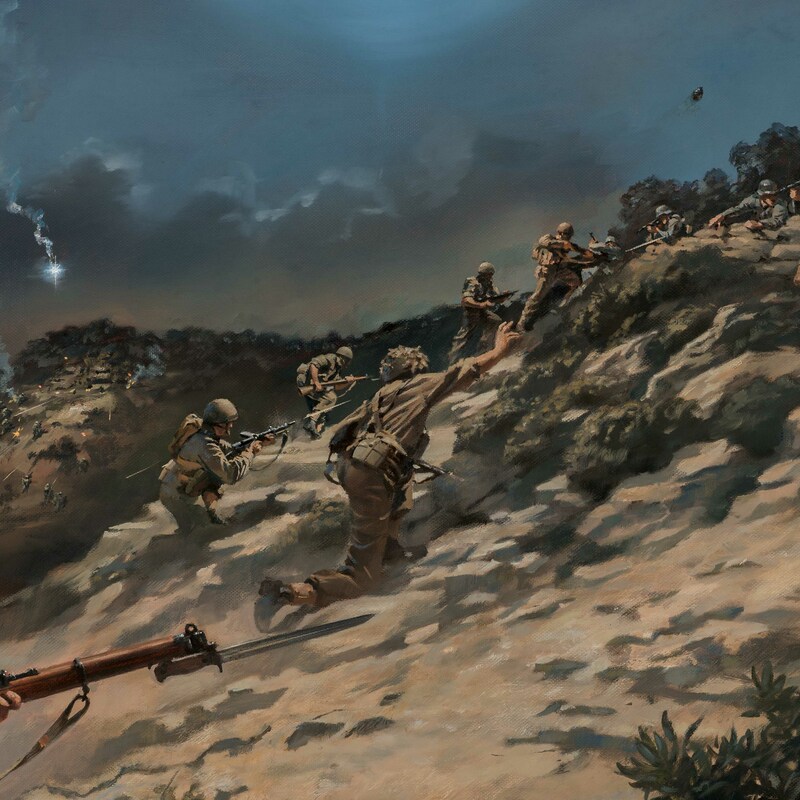 This attack was conducted by the men of B Coy 4 PARA, commanded by Major Richard Hargreaves, with the objective being the heavily defended Laterza Bridge which was vital to 2nd Independent Parachute Brigade’s advance North from their beachhead at Taranto. The action involved a long night march over difficult terrain, followed by an uphill assault on well-prepared and strongly defended German positions. 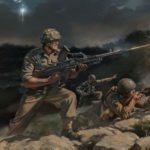 Despite heavy mortar and machine-gun fire, B Coy fixed bayonets and pressed home their attack with great bravery and dash. The enemy suffered considerable casualties and were driven from their positions,leaving behind several important heavy weapons. 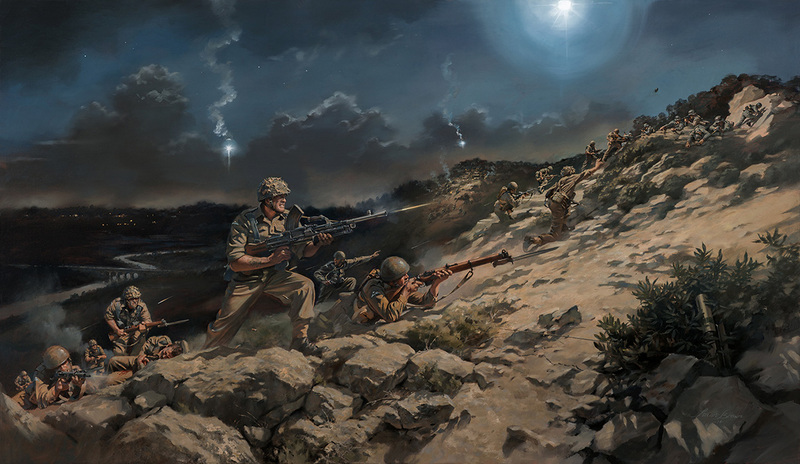 B Coy sustained four men killed in this action. 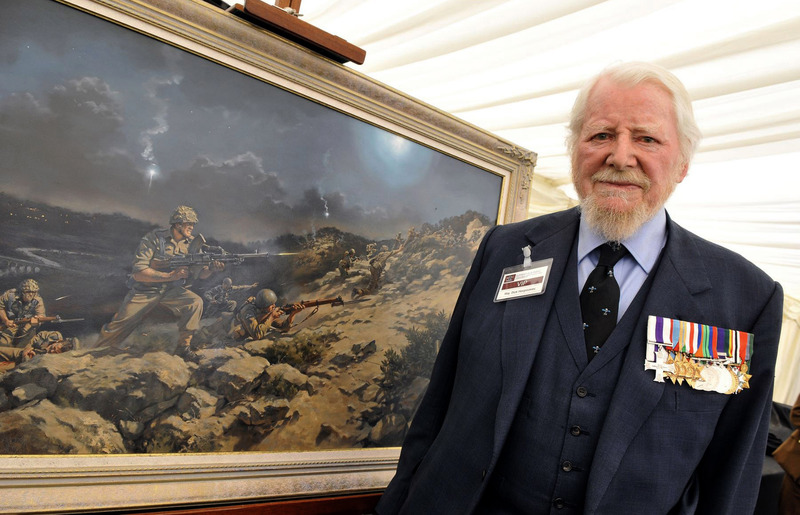 For his inspirational and gallant leadership Major Hargreaves was awarded the Military Cross. Major Richard Hargreaves MC unveiled the original painting at the SOPARA14 event, Old Sarum, May 2014. Image size 61.6 x 35.7cm / 24¼ x 14"